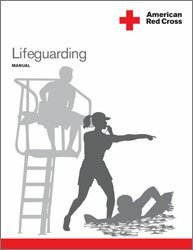 Where to Sign Up for lifeguard training class? New York City is a hotspot for lifeguard training classes, facilities, and job opportunities. There is no shortage of indoor pools, community outdoor pools, and beaches on the island and islands nearby. Whether you’re in Nassau County, Freeport, Suffolk County, or in Queens, there are available class locations near you. Why are their so many locations for lifeguard classes? We believe this is a rewarding and incredibly in-demand career that everyone should have access to. Plus, every neighborhood has a community pool that needs a lifeguard to keep swimmers safe. These classes teach water safety and lifeguarding because our communities depend on it. Astoria, Queens, Upper East Side, Long Island, The Hamptons, Brooklyn, Lower East Side, Brooklyn Heights, Manhattan, Tribeca, SoHo, Greenwich Village, Chelsea, Upper West Side, Hoboken, Nassau County, Suffolk County, Bronx, and Staten Island. If you’re interested in signing up for lifeguard classes in any of these locations, simply attend an information night at your local participating pool or complex. 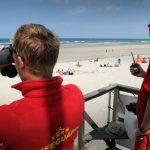 The team of lifeguards and program creators does regular information sessions in each participating city so that you can get a better idea of what’s in store. These orientation nights inform guests of all the rewards becoming a lifeguard can bring, how it improves your health, and how it nourishes your soul by being able to help (and even save!) others. We always start with an informal icebreaker game to get to know everyone, followed by serving coffee, tea, and snacks. The team will go through the presentation for you and discuss their experiences in the industry. Many started as summer job lifeguards! Information sessions are free, but we ask that you RSVP via our Contact Page to let us know you’ll be attending. To enroll in a beginner, intermediate, or advanced class, please speak to one of the presenters at the information session or inquire on our website. Many of the participating facilities we teach at have further information on classes and how to enroll. To enroll in one of our online courses, you have to prove you are at the advanced level of lifeguarding or work your way up through our programs. 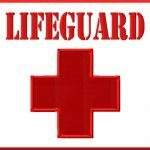 Lifeguard certification training is such a rewarding summer job, hobby, and career. We are thrilled to offer classes at so many facilities across all the locations mentioned above. Each location has exceptional pool and classroom facilities to aid in your education and career training. 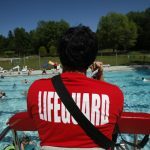 If you are searching for a lifeguard class near me, go to the local classes page. If you’re living in one of those areas and are interested in which available class locations have courses starting soon, send us a message on our Contact Page.